We have used Constant Contact and with the issues we had with them lead us to turn to emfluence 8 years ago. The emfluence platform is easier to use, and we like that they are a Kansas City based company. We are able to visit their staff at the office and they have come to our office for meetings. It's been a very personal relationship with their staff and I have become friends with some of their staff over the years. Even though we are a small organization, they make us feel like we are their top client. I always get a quick response when I email support and they handle any issues or questions withing 24/48 hours, sometimes even sooner. 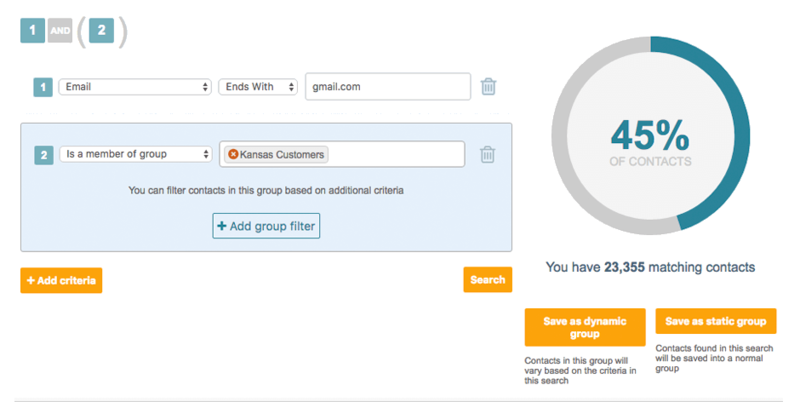 Find exactly the right audience based on search perimeters or contact characteristics using the Dynamic Marketing Group Query Builder.